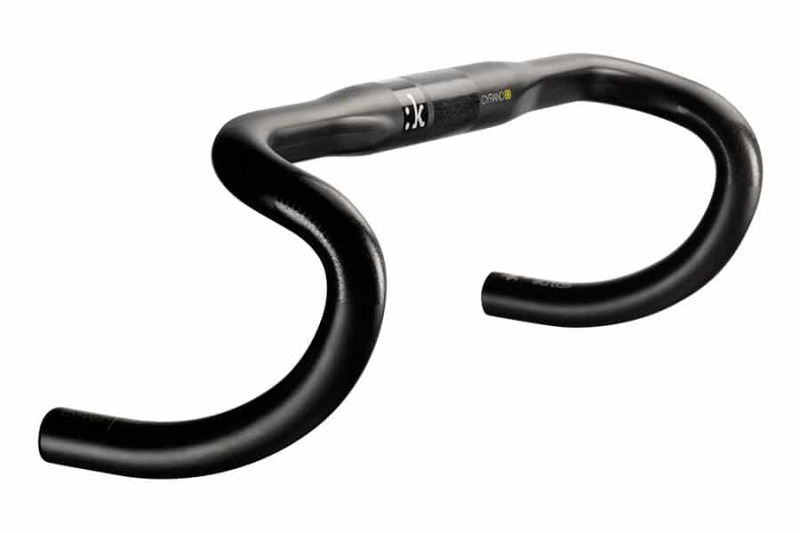 The Cyrano 00 (00 meaning “the top” in Italian) is the top-of-the-line handlebar from fi'zi:k. Made from high-modulus carbon, this is the lightest and strongest fi'zi:k handlebar. Just as your choice of fi’zi:k Spine Concept™ saddle shape is guided by your degree of spinal flexibility and subsequent rotation of your pelvis, fi’zi:k offers this same Spine Concept™ guideline to help you choose your most comfortable road handlebar shape. These products are being ridden at the highest level, the UCI World Tour level by AG2R Pro Cycling Team. The width of your shoulders should determine your handlebar width. Choose from the following centre-centre measurements: 400/420/440/460mm. Fi’zi:k handlebars widths are measured centre-to-centre ‘on the tops’ (behind where the STIs are attached to the bar). They are NOT measured centre-to-centre ‘on the drops’ (between the centre of each bar plug). The Snake Handlebar: If you are very spinally flexible (far less than 90 degrees horizontally between your straight legs and your back when bending over as far as you can from a standing position, keeping your legs straight a shoulders’ width apart), you are a Snake. You are better able to reach further and get down lower to use the full radius of more rounded, classic-style, deeper-drop handlebars. The Chameleon Handlebar: If you have an intermediate degree of spinal flexibility (approximately 90 degrees horizontally between your straight legs and your back when bending over as far as you can, keeping your legs straight a shoulders’ width apart), you are a chameleon. You are better able to reach further, but perhaps you can’t get down quite as low on the handlebar drops as a Snake would be able to. The Bull Handlebar: If you have a relatively low degree of spinal flexibility (more than 90 degrees horizontally between your straight legs and back when bending over as far as you can, keeping your legs straight a shoulders’ width apart), you are a Bull. You will not be able to reach as far or bend as low as a Snake or a Chameleon would be able to.